Slug Saloon - Stop Slugs! Mix nontoxic malted barley bait in the Slug Saloon. Draw lots of slugs into the saloon where they drown in the brew. Use one trap (place on the ground or sink it down) for every 10 sq. ft of infested garden area and visit the Saloon every 3-4 days to empty the tray. Each trap comes with enough bait for one month. Replacement bait enough for 3 months. Made of tough, weather resistant polyethylene for years of service. Bulk packages available for farms. Slug Saloon - each with 1 month supply of bait, measuring spoon, and easy to follow instructions. Bulk Pack - 10 Slug Saloons, with 3 pound bait, 6 month supply, enough for a season. Snailer Stop Slugs & Snails! Attract destructive snails and slugs with nontoxic, people- and animal-safe bait in this long-lasting trap. A one way door lets them enter but not leave. Comes with a one-month supply of bait; 2-month supply is available. Use one per 10 sq. feet for heavy infestation; one per 400 sq. feet for maintenance purposes. Bulk package available for farms. Snailer - each with 1 month supply of bait, and measuring spoon. Instructions on box bottom or on card. 2 Month Bait Refill - 7 ounces of bait and a measuring spoon. Call for retail or wholesale orders. Place the Snailer in area of heaviest snail or slug infestation. The Snailer may be placed on top of the soil or pushed into the soil to the lip of the tray. Slowly fill tray with water, stirring to mix thoroughly. Snap Snailer lid onto tray. Check every 2 to 3 days. Empty contents of Snailer and repeat above. The Snailer was developed as an organic, child and pet safe alternative to the poisonous snail and slug eradication products sold on the market today. It is an effective means of control for all snails and slugs, especially the larger varieties found in various parts of North America. FIELD TESTED The Snailer has been field tested extensively in the snail and slug infested areas of the United States and has been found an effective safe method of pest control. The Snailer bait is a non-toxic, chemical free formula derived from malted rice, barley, cornstarch, yeast, and sucrose developed in conjunction with the Colorado State University Entomology Department. The Snailer bait is child and pet safe and is not in any way harmful to the environment. The Snailer bait attracts snails, slugs, earwigs, and sowbugs to the trap where they cannot escape and are drowned. SPECIAL TRAP DESIGN The Snailer trap is designed to keep rain or sprinkler water out of the trap and reduce dilution of the bait. The lid is designed to keep out debris and to keep evaporation to a minimum. Your Snailer is constructed of high quality durable material and if used as instructed will give you many years of quality service. USE ANYWHERE THERE IS A SNAIL OR SLUG PROBLEM The Snailer should be used anywhere there is a snail or slug problem - vegetable and flower gardens or lawns. You have purchased a product that really works. Follow the instructions and expect great results. However, a single (1) Snailer will not totally eliminate snails or slugs from a large vegetable or flower garden. 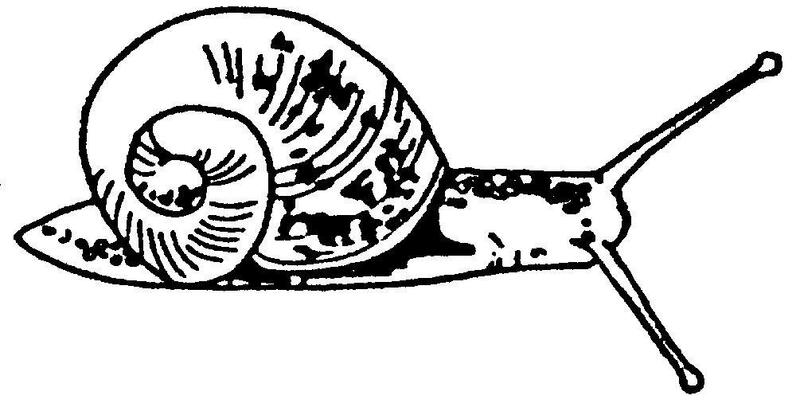 If you are trapping ten to fifteen snails or slugs per day in one Snailer we recommend adding one or two additional Snailers to be placed in alternate rows. Both snails and slugs propagate in the wet, shady areas of lawns and gardens. The Snailer should, for best results, be placed in these areas. This placement also will keep evaporation at a minimum. More and more long-term tests are showing pesticides cause negative effects on the health of families and household pets. Organic gardening is the only way to insure your family and pets will not ingest harmful pesticides.